SQLBalls: Monday Morning Humor: Don't Forget Twitter! Hello Dear Reader, after writting last week, How Do You Learn?﻿, one thing became apparent to me very quickly. I forgot Twitter! 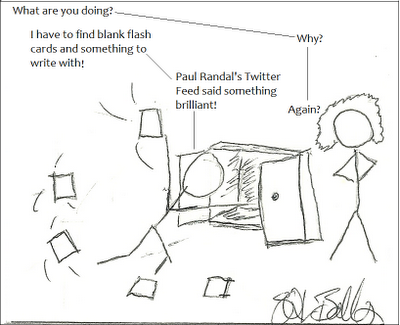 More importiantly I forgot Paul Randal's (@PaulRandal | Blog) Twitter Feed! And no sooner did I realize that when over the weekend there was discussion on Trace Flag 3422. 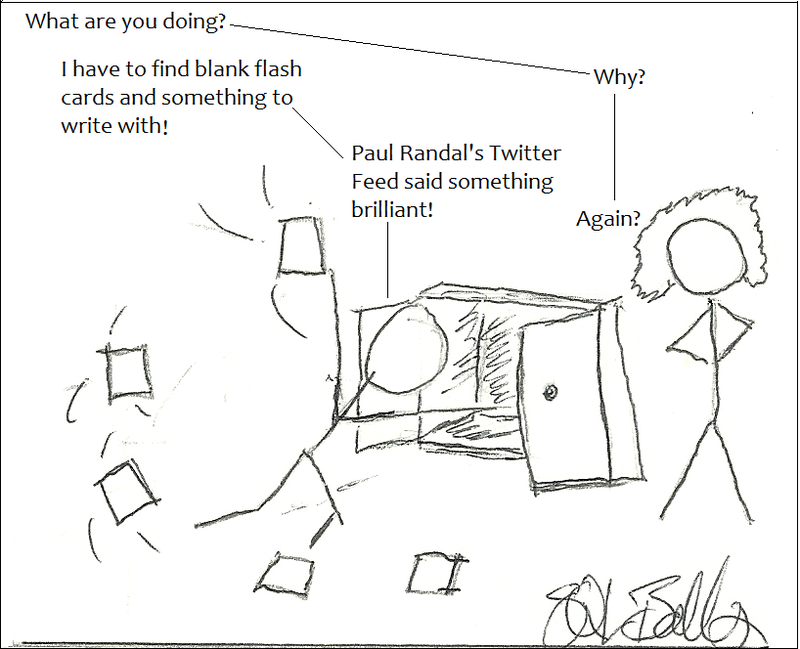 Twiter deserves it's only blog entry, because while Paul Randal's Twitter feed is awesome, there are a lot of other great thing's like #SQLHelp, and litterly hundreds of amazing bloggers! I drew this up while doing some late night work and thinking on the subject. I hope you enjoys this and I'll post more tonight!